Wield the power like Wonder Woman with this Previews Exclusive Sword Letter Opener! 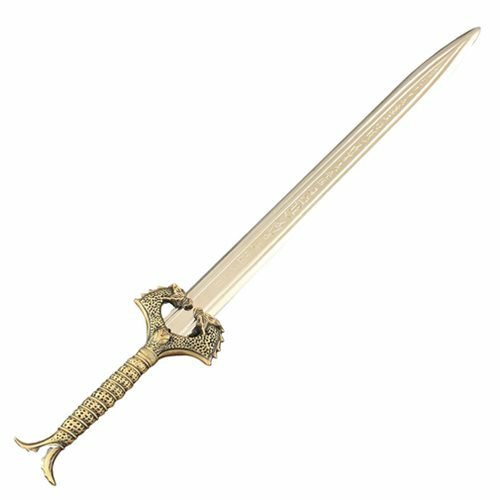 Based off the Wonder Woman movie prop, this highly detailed letter opener replicates amazing details like the golden hilt to the blade's Amazonian runic script. Measuring 7-inches long, this beautiful Wonder Woman Sword Letter Opener is made of real metal and is sure to be a conversation starter.